Secret Cloud’s yurts are just the spot for a guilt-free, luxury glamping splurge. The four yurts, Elderflower, Foxglove, Rosehip and Blackberry and the new all year round Bilberry Lodge (an arctic inspired wooden cabin), sit across a flat field, shared only by a few Hebridean sheep and are surrounded by farmland, with panoramic views across the Manifold Valley and heathlands of Ipstones Edge. 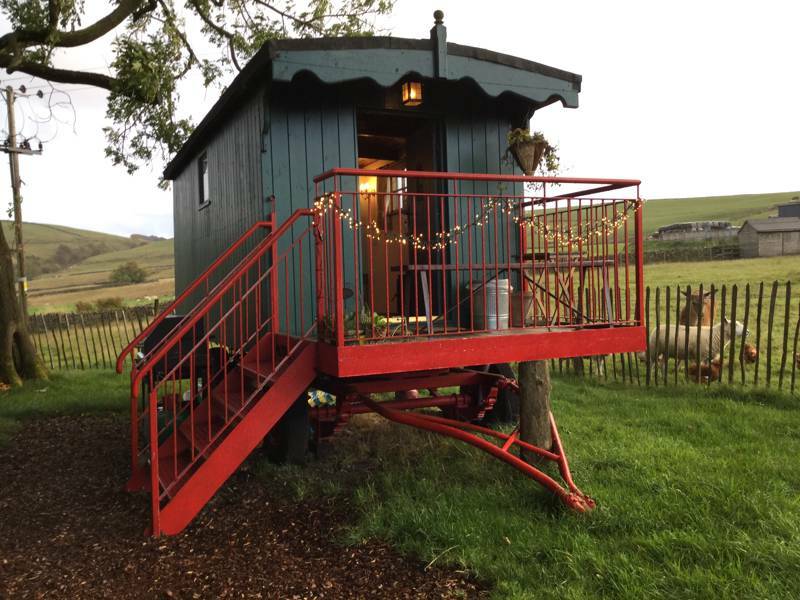 Catherine and her partner Ian run the site, lovingly furnishing each yurt with wooden floors, a handmade double bed, a table and chairs for candlelit dining and a wood burning stove with a supply of logs. They are snugly fitted out with feather down duvets, Egyptian cotton sheets, fluffy towels, Secret Cloud bathrobes, Staffordshire wool blankets and sheepskin rugs. 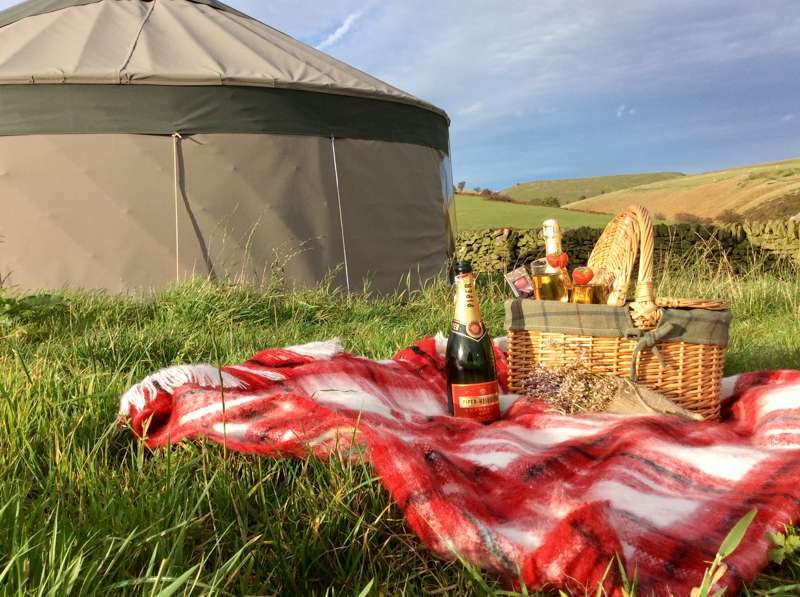 Glamping guests are also treated to a locally sourced breakfast hamper and each yurt has its own private wood-fired hot tub. Guests are also welcome to use the wood fuelled barrel sauna and the site now offers massage treatments by candlelight in 'Shepherds Rest' in front of the roaring fire. 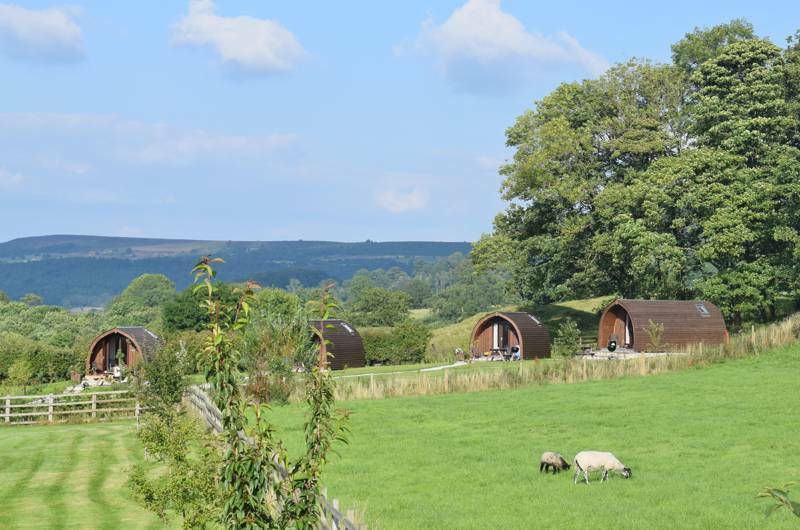 But despite the luxury – this is also an eco-friendly site and has earned the Environmental Quality Mark from the Peak District National Park each year since 2011. Each yurt has its own compost loo, the shower rooms are fitted out with solar panels and insulated with sheep’s wool, while lighting is by candlelight and solar fairy lights. 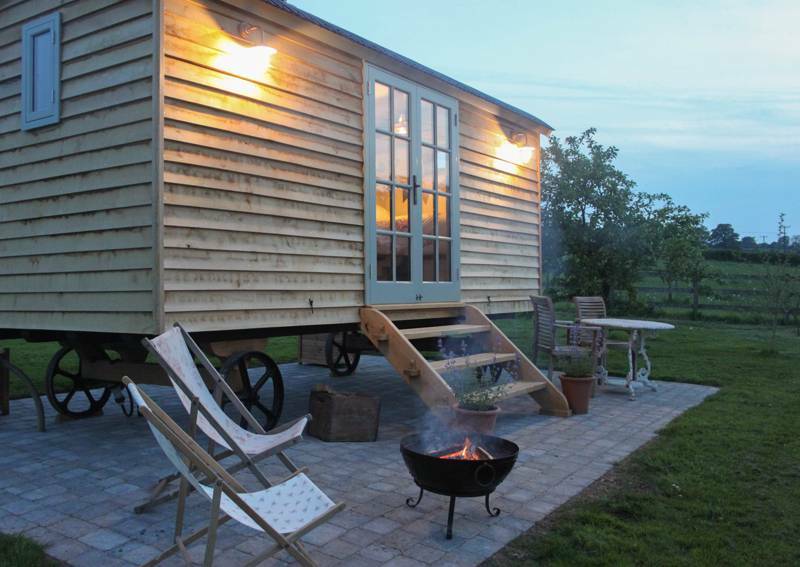 Every effort is also made to source products locally from the yurts themselves, to the handmade toiletries and the sustainable Staffordshire charcoal for the BBQ. Breakfast hampers are perhaps the most local of all – with meat and vegetables directly from the surrounding farms! 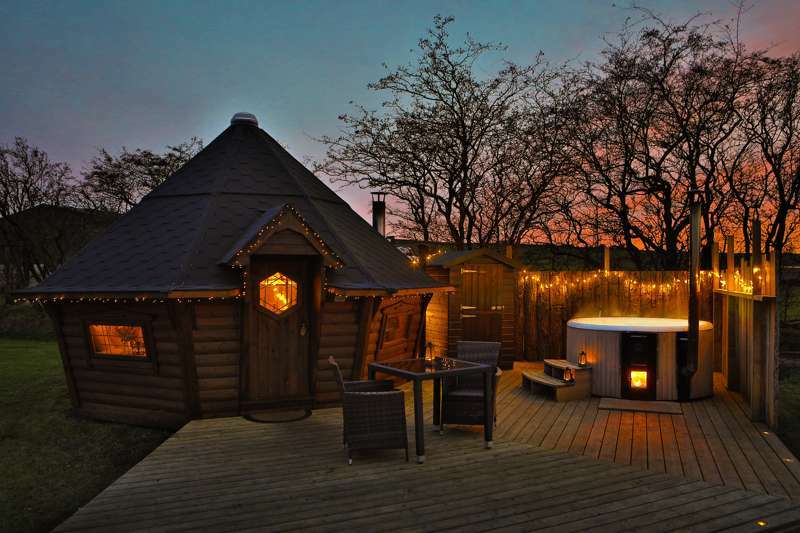 Welcome to Secret Cloud House Holidays, a small collection of luxury yurts with private wood fired hot tubs on the edge of the Peak District, with on site wood fuelled barrel sauna and 'Shepherds Rest' treatment room. A perfect escape from it all! 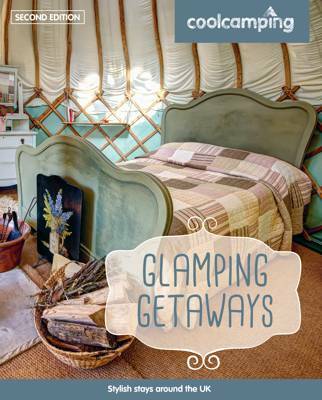 Each yurt has been beautifully furnished with a handmade wooden double bed, featherdown duvets and Egyptian cotton sheets, a large wood burning stove oven to keep you warm and toasty whatever the weather as well as romantic solar fairy lights and candles. Discover why our guests keep returning and why so many comment on our attention to detail. As energy is so precious, our washroom has been designed to utilise natural resources. Made locally from sustainably sourced timber and insulated with sheeps wool, a photo voltaic panel provides subtle lighting and water is heated by a solar thermal panel. There are two spacious washrooms, each with a walk in showers, marble sinks, full length mirrors and vanity areas! We are popular with couples for romantic breaks and minimoons, families looking for adventure and we are a great place for hen parties and gatherings with our Exclusive Use option. Groups, exclusive-use parties, families – yes. Tents, campervans, caravans, dogs – no. Campfires allowed. 4 fully-equipped luxury yurts sleep up to 4 people and have a handmade double bed (with a pull out bed and air mattress for families). Bilberry Lodge sleeps 2 (or provides a communal area if a group books out the whole site). The washrooms have 2 large shower rooms, with free hot showers and wash hand basins, and there is a washing up sink and drainer. 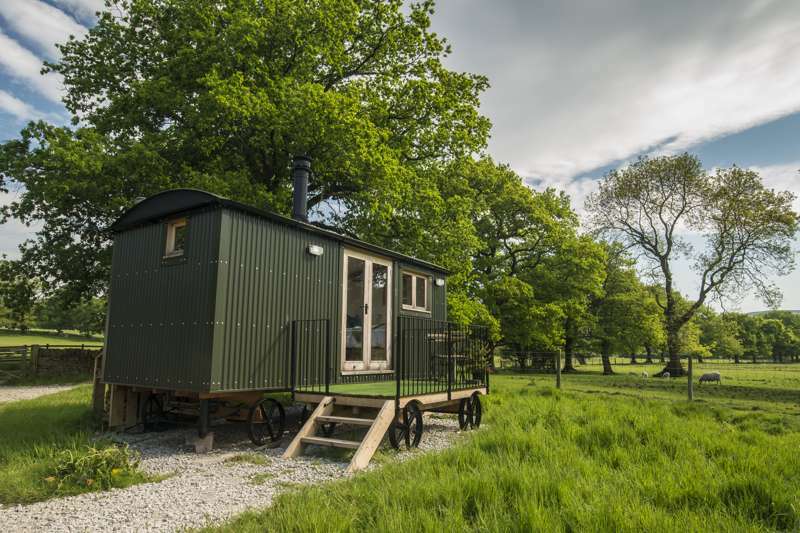 Each yurt has a gas stove, woodburning stove and cool box; and there is a private compost loo in a wooden hut as well as outdoor seating and a BBQ. Yurts: March–October. Bilberry Lodge and Foxglove: All year. Heading from Ashbourne towards Leek on the A52 go through Cauldon Lowe and past The Cross pub. Take the next right turn signposted Blackbrook Zoological Park and then the first right into Stoney Lane. Turn left into Dukes Lane, and passing a sign on the left to Limestone View Farm, keep straight on and the yurts are on the left. Bus 108 runs three times a day to Cauldon Low and Cauldon Village on its route between Derby and Macclesfield; but there is no Sunday service.